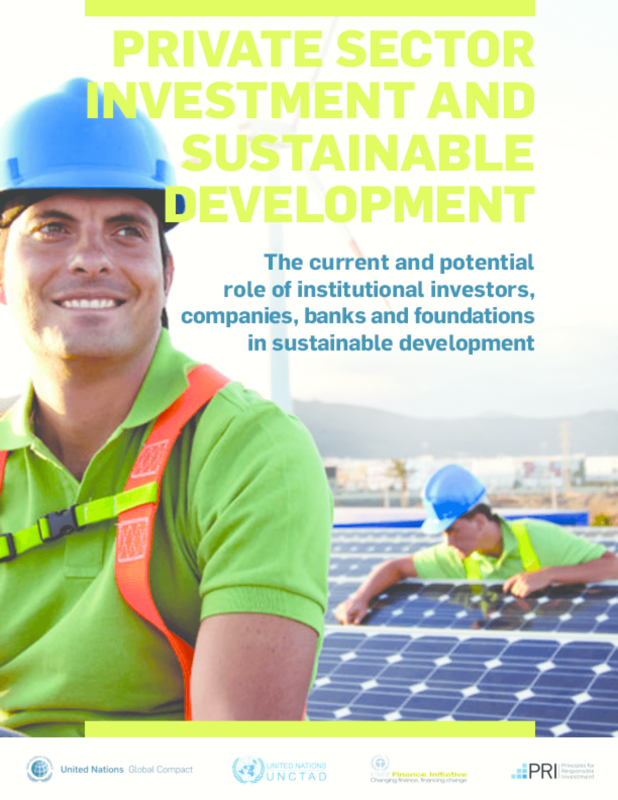 This paper seeks to provide the Financing for Development process with a perspective on the role institutional investors, companies, and foundations can play in the design and implementation of a financing strategy for global sustainability. This will help bridge the terminology and investment approaches of institutional investors, companies, foundations, and governments. The paper highlights ongoing efforts among private investors to increase the impact of their investments. It concludes with a set of key actions facing investors, companies and foundations in their transition towards investment practices that contribute to sustainable development. Copyright 2015 UN Global Compact, UNCTAD, UNEPFI, PRI.